Choose from 3 boats in Spain. Chartering a yacht in Spain is one of the best ways to explore the beauty and diversity of one of the world's most visited destinations. With over 8,000 km of coastline, Spain is also one of the most dynamic sailing destinations. From the golden beaches of Marbella to the vibrant coastal city of Barcelona, Spain offers the perfect mix of culture, nature, and relaxation. Going on a boat hire in Spain is the ultimate way to customize your holidays by choosing your own sailing route. If you are a skipper, you can charter a yacht in Spain as your own captain. Or, if you do not have a boat license, a verified skipper will customize your boat vacation for you. 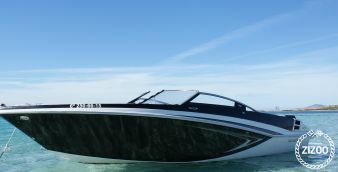 Whether you book a sailboat, charter a catamaran, rent a speedboat or rent a motorboat in Spain, Zizoo will find the right boat for you with the best price guarantee. Winds in Spain: Mistral or Tramontana, Adriatic Bora, Meltemi. Spain is a wonderful destination year-round, but the best time for a sailing holiday is April through October. This large window of time allows for yacht charters in Spain to be a favorite amongst experienced sailors and beginners alike. 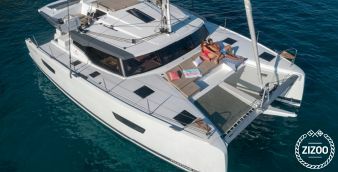 The most popular places to start a sailing holiday in Spain are in the famous island groups of the Canary Islands and the Balearic Islands, though many other yacht charters in Spain are found along the mainland in the coastal hubs of Barcelona and Marbella. You can reach Spain's best yacht charter destinations by plane from many countries around the world. When chartering a yacht in Barcelona, you are directly at a major international transportation hub. The most frequented airport in the Balearic Islands is in Palma de Mallorca, but you can also arrive at the other islands from the mainland by boat. The Canary Islands are also home to international airports. In addition, Spain uses the Euro as currency and is visa-free for most nationalities. However, if you have questions, out Boat Holiday Experts are able to assist with all questions about chartering a yacht in Spain. The marine weather when chartering a yacht in Spain can vary depending on the time of year which you visit and which location you choose. On a whole, summer offers calm conditions though thunderstorms and heavy downpours in the hottest months of July and August can occur. On average, Spain has roughly 300 days of sunshine annually. The eastern coast of Spain is the perfect place for novice sailors or those seeking a more relaxing cruise as this area is more secluded and therefore protected from the stronger winds and rougher seas of the Atlantic. Wind speeds tend to be low with an average of 6 km through fluctuation should be expected and on a daily basis, it is not unusual for it to peak at 10 kts, especially when wind gusts are taken into consideration. 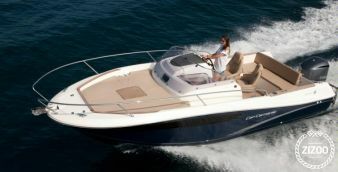 Swell is another consideration when chartering a yacht in Spain. The height of the swell is around 0.5 to 1 on an average day and the period of time varies. It can last anywhere from 2 to 3 seconds to well over 10. If you don’t have the sailing experience or a license we can set you up with an experienced and verified Zizoo skipper to plan, navigate and take care of equipment while you sit back and relax on your holiday. If you want to get involved in the sail, great! Our skippers are willing to let you assist, only if desired that is, and show you the ropes on board. There is no better way to begin your yacht charter vacation than in the heart of Spain’s coastal capital city of Barcelona. It is here where the city meets the sea. There is something for everyone. Start your trip in this colorful city filled with Antoni Gaudi architecture, the delicacy of Spanish tapas and last but not least a 15-minute walk by foot to the beach. In such close proximity to the water, Barcelona is easily one of the best places to rent a yacht in Spain. 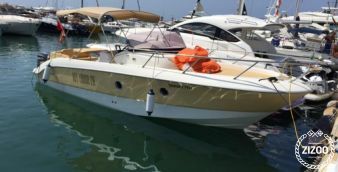 Vilanova Grand Marina - Only 20 minutes distance from Barcelona’s El Prat International Airport this marina is a great place to start your yacht charter in Spain. Peurto Olimpico - This brand new marina has over 100 berths for visitors. Be sure to book one in advance due to its high demand. Matario Marina Barcelona - Located in Barcelona's northern coastal area, this marina is close to great restaurants, shopping, and attractions. OneOcean Port Vell Barcelona - This premium marina is fully equipped with shopping, gyms, and nightlife. The best of all, it is also home to Europe's largest aquarium. Real Club Maritimo - This full-service marina is located in the central of the city and easily accessible as it is at the bottom of Las Rambas. Els Pescators - When chartering a yacht in Spain, eating seafood is as fresh and it gets. This quaint restaurant is serving up some Spanish classics with the freshest of ingredients and a modern twist. Kaiku - Located directly on the beach, Kaiku is a great stop on your yacht charter vacation to dine al fresco. Be sure to order the paella. Jai Ca - This tapas bar is a lively meeting point for locals and tourists alike. Eating tapas is a must when stopping shoreside in Spain. Cuidad Condal - Serving tapas, paella, and drinks till the morning hours, this first comes first serve restaurant has arguably some of the best Spanish classics in Barcelona. La Bouqueria Market - If you are interested in cooking aboard your yacht hire or simply looking for the freshest local food, be sure to stop at this public market. There are both food stands and restaurants alike. Bunkers el Carmel - Starting from the top. When chartering a yacht in Barcelona take a trip on dry land and climb to the top of Bunkers el Carmel. It is here that you will find the most breathtaking panoramic views of the city. The Gothic Quartier - It is not only Antoni Gaudi that brings architecture fans from all over the world to Barcelona. Here, in the Gothic Quarter, you can walk the sidewalks of the neighborhood that is more than 2,000 years old. L'aquarium de Barcelona - Keeping in theme with the ocean and all things nautical when on your sailing trip to Barcelona, a must-see is Europe’s largest aquarium. It is located in the old harbor of Port Vell and makes a great stop for families traveling with children or people from all walks of life. Palo Alto Market - Located in the Poblenou area of the city, this lively quarter is home to the market offering street food, local and handmade goods as well as Barcelona craft beers. The Balearic Islands are an archipelago, also known as a group of islands, located in the Mediterranean sea off the eastern shores of Spain’s mainland, east of Valencia and south-east of Barcelona and includes the main islands of Mallorca, Menorca, Ibiza, Formentera, and several smaller, unpopulated islands. Due to their central location, the Balearic Islands have become a popular destination for yacht charters in Spain. The climate, scenery, and beaches are exceptional and the people have a reputation for being some of the most hospitable in the world. Despite the close proximity of each of these islands, each one has a varying landscape. Menorca is known for its bohemian beaches and is great for boat hires in Spain who is looking to get off of the beat and path. Next, Mallorca, the largest of the islands, is known for its cosmopolitan island life and the crystal blue calls or inlets that make a get place to set anchor when chartering a yacht in Spain. Ibiza is perhaps most famous for its party scene but is also home to beautiful rustic landscapes and untouched nature. Lastly, Formentera the wishbone-shaped island. It is here that people come to take advantage of the outdoors and all the activities it has to offer. Sail around the Balearic Islands for an unforgettable holiday on your yacht charter in Spain. The Canary Islands are a group of islands located in the Atlantic Ocean. Due to their location, the weather remains desirable year-round which makes them a great destination when chartering a yacht in Spain. The islands, a popular choice for more experienced sailors, lie off the western shores of Africa and situated a little further from Spain’s mainland. The island group also makes a great place to escape the winter blues, but you are also able to enjoy sailing around this piece of paradise all year long. This sunny region makes for a perfect boat vacation, giving you a chance to explore the diverse culture, fine food, and incredible landscapes while island hopping. There are four main islands that make up this archipelago. One of the best starting points for your yacht charter around the Canary Islands is Lanzarote. This volcanic island boasts beautiful black beaches that are in the shadows of the highest mountain in Spain. Next, Gran Canaria, which is home to beautiful white beaches, a luscious green interior, and some of the best surfing and scuba diving in Spain. Tenerife is the largest of the islands and has up to 300 days of sunshine a year. Lastly, Fuerteventura, the island is warm year-round and has an incredible sea breeze that makes chartering a sailboat here one of the best locations in all of Spain. When planning a yacht charter in Spain, the hardest part is deciding where to go. The Spanish coastline is arguably one of the most romantic, gorgeous, untouched stretches of coast in Europe and the rest of the world. With almost 8,000 km of the Spanish coast, there are endless sailing routes to choose from. The most well-known areas when chartering a yacht in Spain are Barcelona, Ibiza, and Mallorca, which all offer great opportunities for an adventurous holiday with plenty to do and see. Spain’s diverse regions and islands offer visitors a chance to experience and explore ancient ruins, alluring palaces and gardens, masterworks of art and rich traditions. From the enchanting palace and fortress complex of Alhambra to the world famous food fight festival of La Tomatina, you’ll have the freedom to experience the many well-known and hidden treasures and festivals on your boat hire in Spain. Whether you choose to sail along the eastern, northern or southern coasts or opt for a boat rental in the Spanish Islands you'll be sure to find white sandy beaches to take in the hot summer sun, picturesque towns and cities to enjoy top-notch cuisine and impressive cultural sites. The many beautiful and tempting options can be overwhelming but, once you decide on a sailing destination in Spain, we can help with the rest. Spain's constant winds and breezes also make it the perfect place for sailing, surfing, and other water sports. Make sure to request for snorkeling equipment when you book your yacht charter in Spain with Zizoo. You'll also have a chance to savor some of the world’s best food and wines. As a country rich in gastronomic traditions and an active proponent of Slow Food movement, Spain prides itself in its outstanding and well-known dishes and wines.